My hair is naturally quite thick and wavy which luckily helps my hair look nice and full when it is freshly washed. However, when it comes to dealing with my mane after 2-3 days of no wash, the hair on my scalp just looks miserably flat. Between washes I like using baby powder on my scalp to absorb excess oil (more on that here) and I've recently also been loving using the Nioxin Diamax Advanced Thickening Xtrafusion Treatment* which has been a real saviour for my lackluster hair. I was immediately hooked after only one use - here's why. 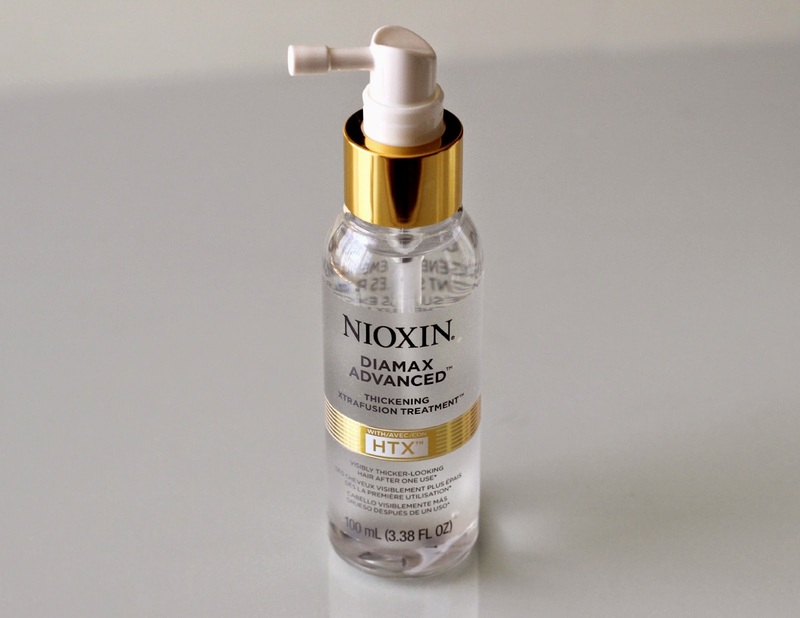 Nioxin Diamax Advanced is a leave-in spray that visibly boosts volume at the scalp and also works to make hair grow long and strong. It uses advanced technology that boosts existing hair diameter by penetrating deep into the roots to stimulate growth. Not only that, but it also protects against breakage. The reformulated formula contains three key active ingredients: niacinamide, commonly used in skin care for creating a moisture barrier and improving texture, panthenol, known for its deep penetration capacity and caffeine, recognized for boosting hydration. This treatment is also infused with peppermint oil, providing hair with a fresh, clean scent. I've really been enjoying using this treatment on my dry hair, although it works well on wet hair as well. I apply the spray liberally all over my scalp and work the product in with my fingers. It immediately adds grit and texture to my roots and my hair is visibly thicker and more shiny. This product basically brings life back into my hair. 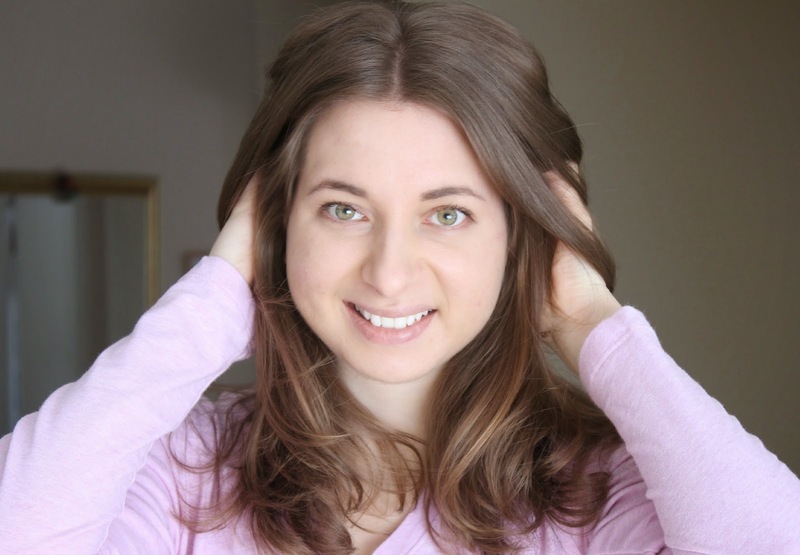 Quick and easy to use - perfect for me as I typically don't spend more than two minutes on my hair on an everyday basis. 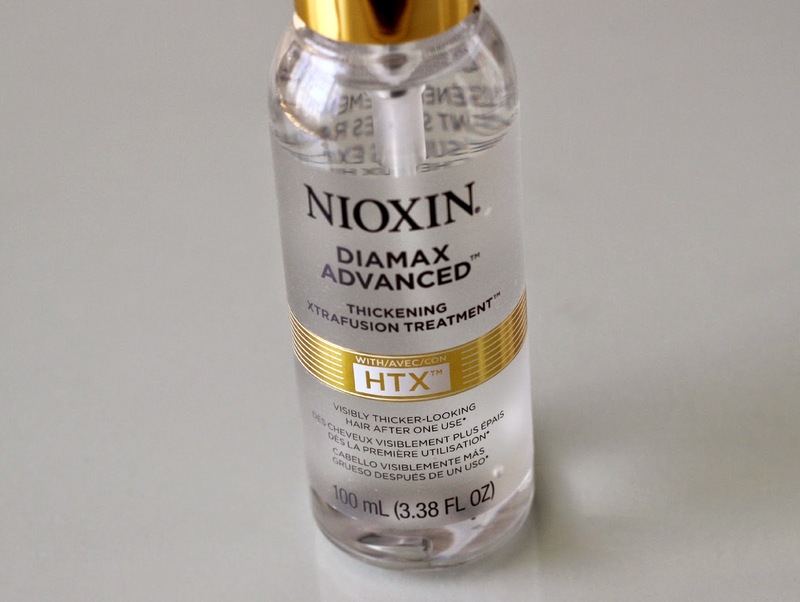 The price tag on the Nioxin Diamax Advanced Thickening Xtrafusion Treatment is quite steep, retailing at C$59.99 for 100 ml at salons and beauty supply stores nationwide. I will say however that it is the best thickening treatment I have ever tried. Although the results are amazing, I think you can find many alternatives that will provide similar results without sucking your wallet dry. Do you use hair thickeners? Is this something you would try? My hair is sadly very flat, it's like I've been wearing a hat all day. So this sounds like a great product for me, especially if it will give me some volume on the top of my head. My hair is thick enough as it is so I probably wouldn't need it, but the concept and packaging is very nice! I need added volume to my hair and something to strengthen my hair and to help it grow longer too. Always looking for new hair care products to try. My hair is pretty thick so I probably wouldn't need it, but it sounds like a great product! I've been using Batiste dry shampoo between washes and I love it, works great for absorbing excess oil. It s the first time a hear about this produc,realy interesting. My hair is super fine and thin... I could really use a hair thickener! I never thought to though for some reason!